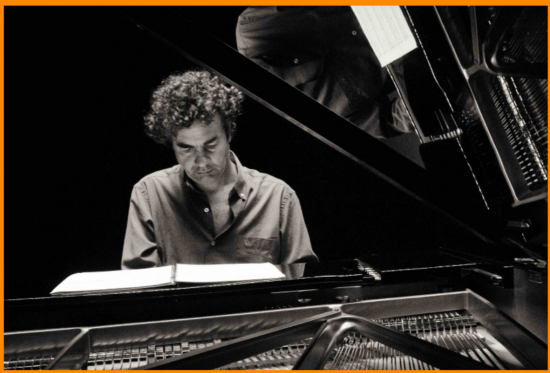 Composer and pianist, born in 1963 in Buenos Aires where he studied music at the Dopolito Conservatory and refined his style alongside pianist Alberto Mercanti. He conducted in Opera companies, joined classical and contemporary music bands, as well as Argentinian folklore and tango ones. At his arrival in France in 1992, he met the violinist Iacob Maciuca and other musicians coming from Eastern European countries, giving him that fundamental influence on his very own language of musical arrangement. He formed different bands, such as the 'Cuarteto Jerez', 'Translave', and more recently, his quartet, the 'Jerez Le Cam Quartet'. He made the musical arrangements for the 'Pas à deux', 'Charbons ardents', 'Anque moi', 'Comment je suis devenu une agence de tourisme cubaine' shows, with Eduardo Manet, staged by Camile Saraceni ; 'La grande Magie', 'Dormez, je le veux' and 'Vinetta', staged by Lisa Wurmser. As a musician, he performs, among other things, with Juan José Mosalini, Raúl Barboza, Gotan Project, Julia Miguenes, Sandra Rumolino, Raul Garelo, Tomas Gubitsch, Osvaldo Calo, French symphony orchestras from the Loire region and the region of Paris, Ile de France. His last creations: 'Barok Tango' and 'Tangos para Bach', 'Sonatas Tangueras' and 'Raices'. Musical arrangements for Saint Nazaire’s Orchestra, Nantes’ Philharmonic Orchestra and the 'Cantatas Immigrantes' for the choir and orchestra of L’Aria de Paris.